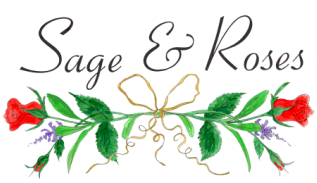 Sage & Roses "Specialty Design Shop" Environmentally Friendly All-Natural Bath, Beauty, & Aromatherapy Products.With Unique Gifts, Custom Dried Herb, Floral, & Silk Designs, Specialty Foods,& Garden Decor. "You Have to See it to Believe it!" Visit Sage & Roses often– an abundance of unique items arrives weekly. Talk to Jeannie about custom floral and herbal designs.